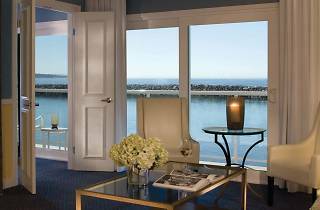 Overlooking blue shores and sailboats galore, The Portofino Hotel & Marina is a premier oceanfront getaway set in sea lion-clad King Harbor. 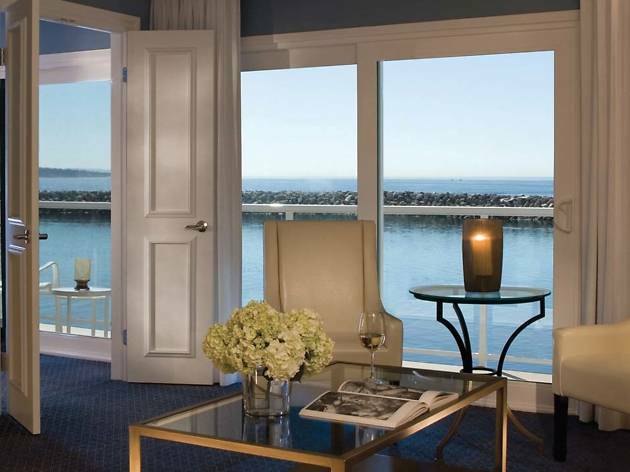 Nestled on its own private Redondo Beach peninsula, the maritime resort from Nobel House Hotel group offers rooms with a secluded patio or balcony and picturesque ocean views. For honeymooners looking for the ultimate romantic escape, book the Ocean Jet Tub room replete with a Jacuzzi for two, a rainfall showerhead and a private patio for catching the sunset. Plus, dine at the property’s prized restaurant, BALEENkitchen, for eclectic fine dining (offering plenty of sea food, of course) with the Pacific Ocean as your backdrop. And don’t forget to take your complimentary beach cruiser up and down the oceanfront bike path—it’s a must-do.